Bring the kids, animals, toys & RV! 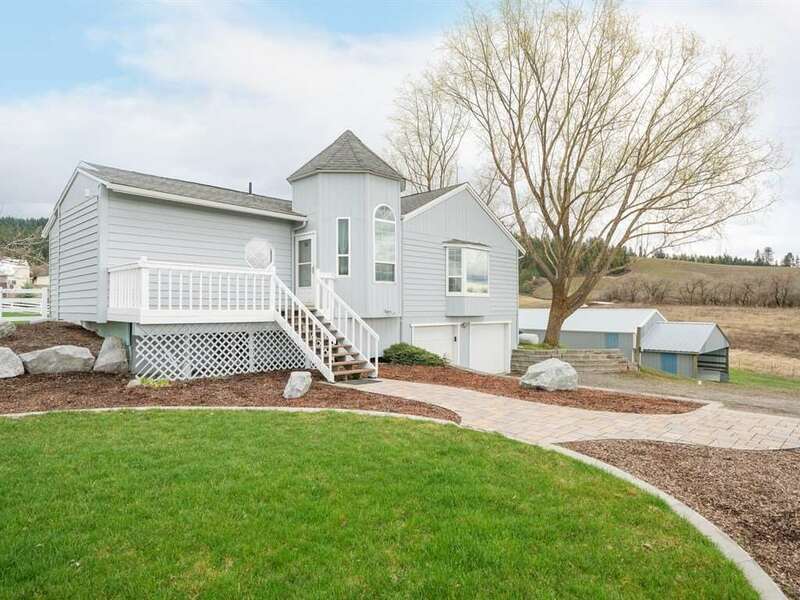 360 degree views of hills/farmland all located on quiet paved dead-end street w/ 15 fncd acres. Open living rancher w/ awesome mstr ste featuring huge w/I closet, jetted tub, & an attached den/nursery. The great room has an island kitchen, gas stove, & large picture window. Outside you&apos;ll enjoy a screened in sun porch, paver patio, curbed landscaping, sprinkler sys., raised garden beds. A 20x40 shop & 10x20 lean to can easily convert to horse stalls.